Try this from San Francisco. In Panama it’s a piece of cake. What was planned as a roundtrip does look more like rectangular, doesn’t it? 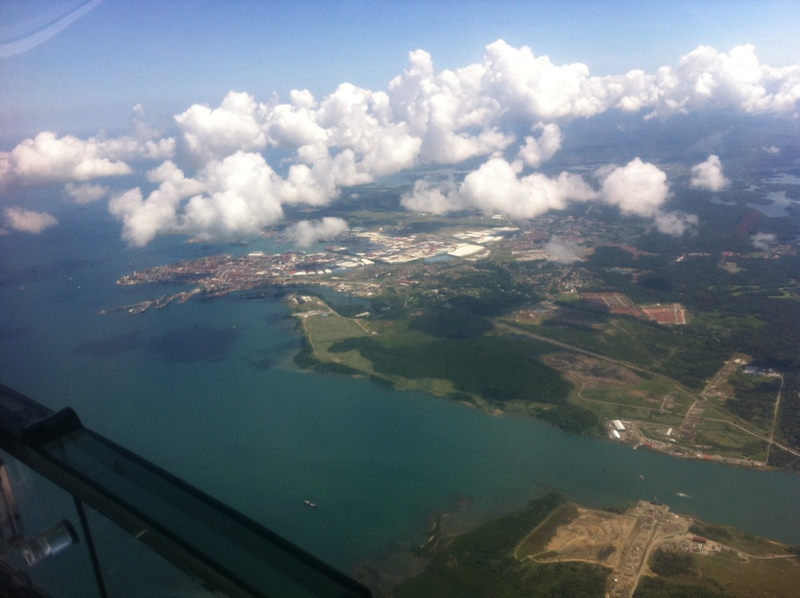 It’s one of not so many days during the rainy season in Panama, when Caribbean and Pacific coast are both and between available for VFR (visual flight rules). Today it is. 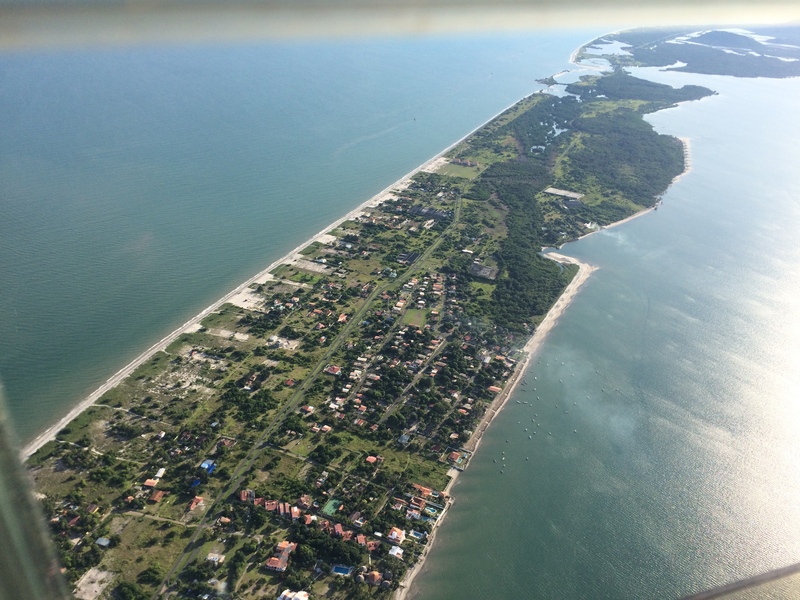 Our FlightDesign CTLS LSA (light sport aircraft) takes off from Chame (MP24), few miles only from the Pacific coast. Wind from South today, so it’s runway 18 on this non-towered airport. We need to coordinate with 2 SENAN (coast guard/boarder patrol) helicopters doing training. When airborne, we turn North and contact Panama Radio. 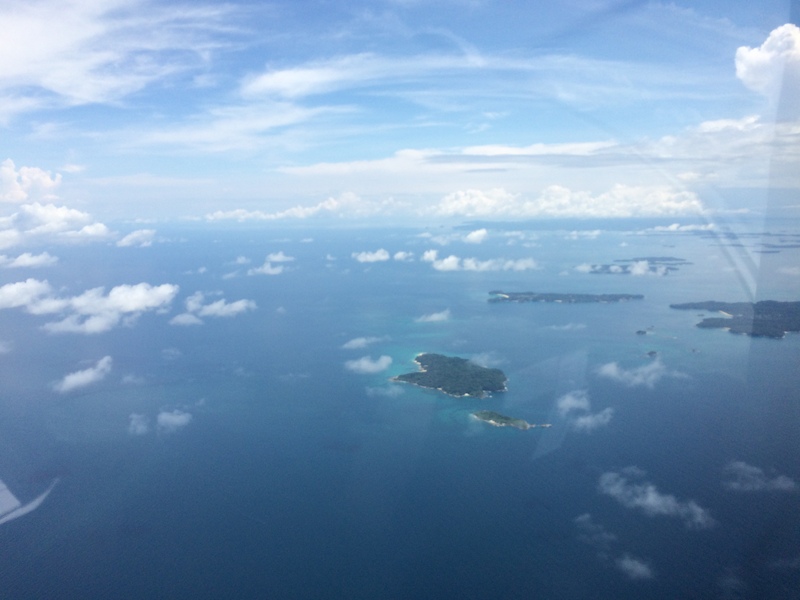 We have submitted a flight plan already as we are kind of surrounding Panana City with 3 international airports: MPTO, MPMG and MPPA. Got our squawk code and are handed over to Panama Advisory. 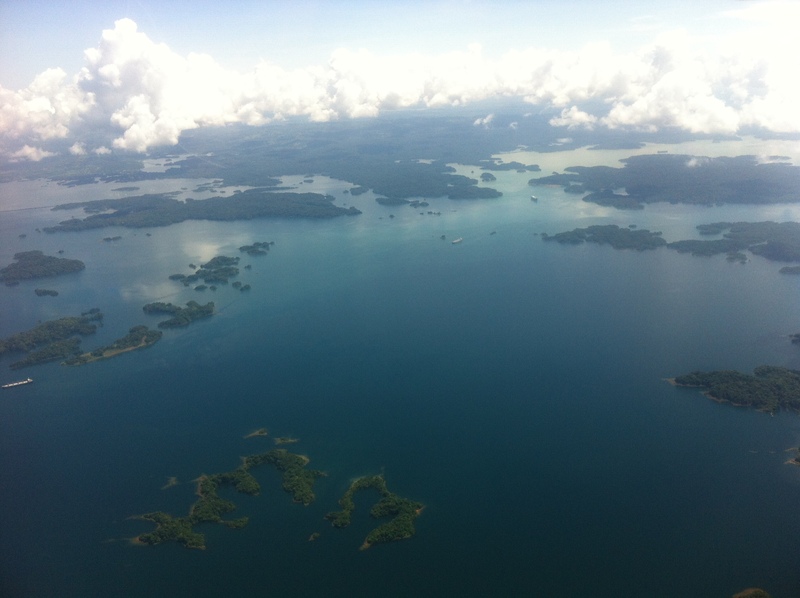 When reaching FL55 (5,500 ft) we are already over Lake Gatun, which is a significant part of the Panama Canal passage. 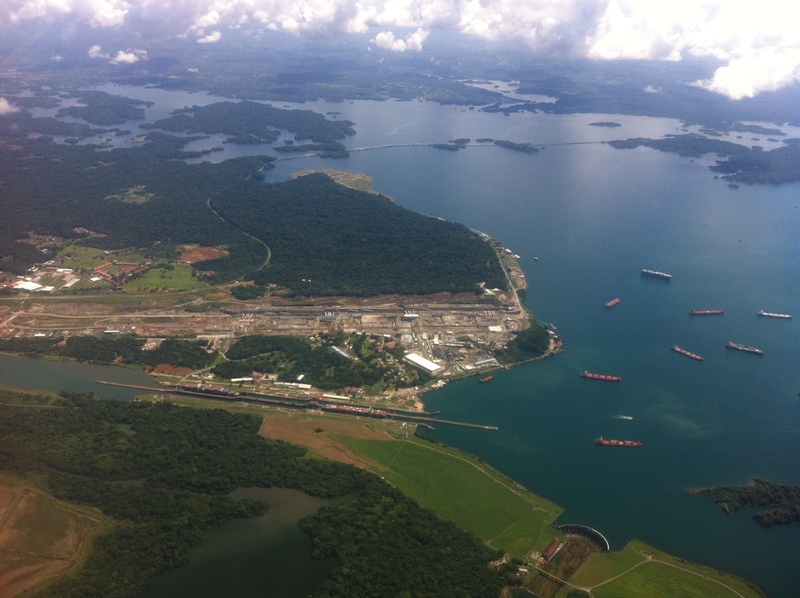 Watching ships on their way and assembling on both sides of Gatun Locks. The old ones, in 24/7 operation since 100 years, and the new ones under construction, to double transit capacity from early 2016. Impressive. Then the city of Colon, Atlantic-side entrance of the Panama Canal and home of the second largest free zone, after Hongkong. Colon’s airport (MPEJ) is a waypoint to overfly today. 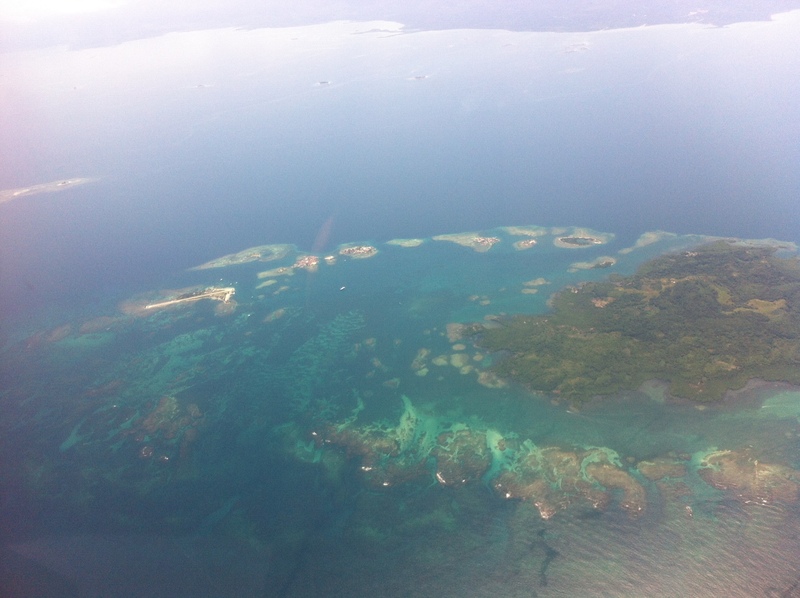 Now we are flying along the Caribbean coast of Panama, still under-developed, but not for long anymore. Clouds are building over the rainforest and we climb to 7,500 feet now. This leg, as the other ones too, is approx. 50 nautical miles long. Next waypoint is El Provenir, a settlement on few small islands, and even the airport is on an island. Runway is 400 m and this place cannot be reached by land. As these pictures look, it goes along the coast for another 120 km, into Colombia. Islands, palms, sand, seafood. 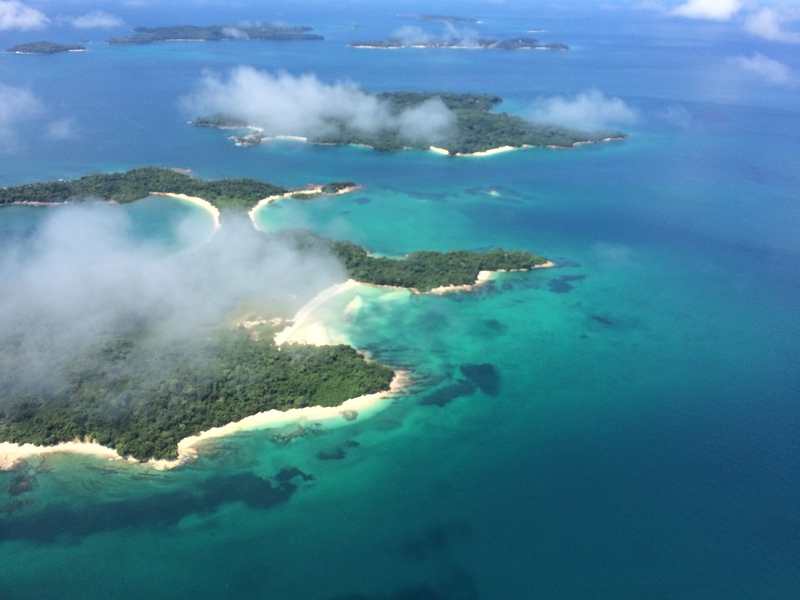 A true natural paradise, which we will overfly the next time, but low and check out all the airstrips along the way. Now we turn South, leaving Caribbean/Atlantic behind and climb to 9,500 ft because of clouds. It takes time for our Rotax 912 engine at this altitude and still 57F outside. 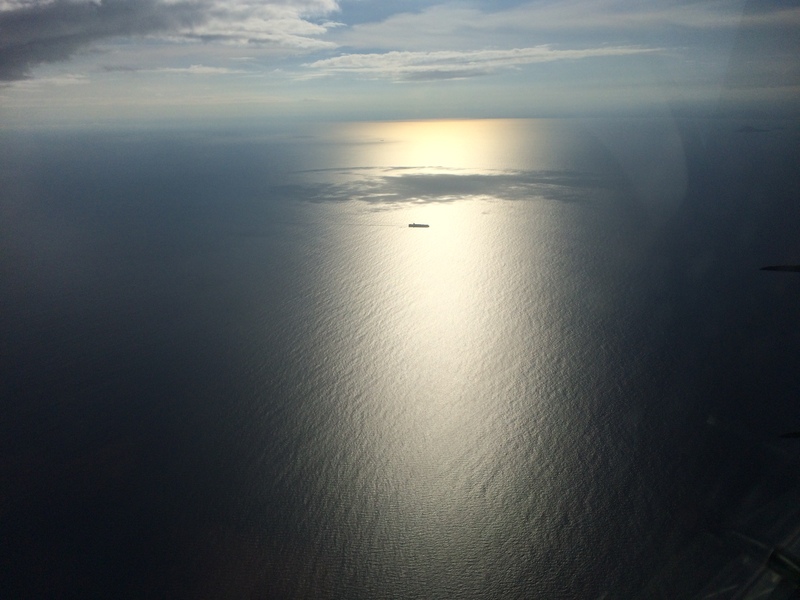 New course: Las Perlas Archipelago, Pacific Ocean. 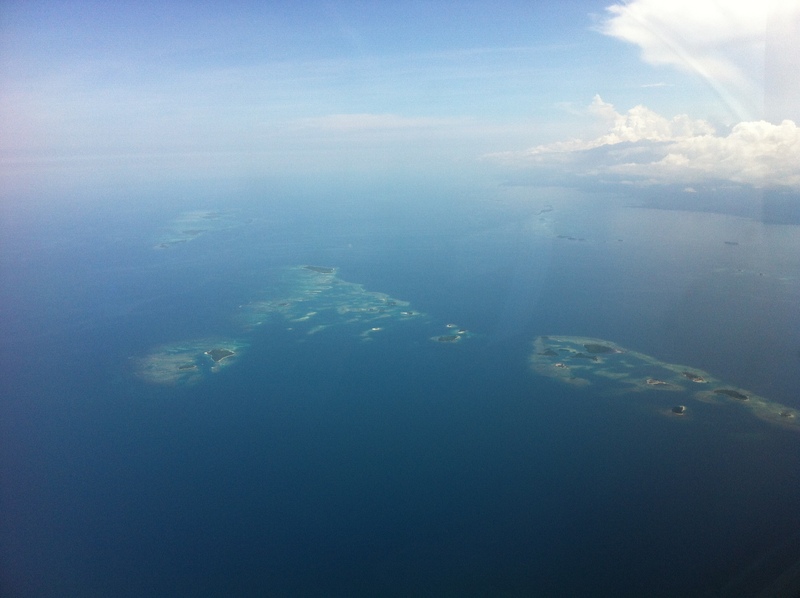 And after a few minutes we can already see these islands ahead. Weather is perfect, the views are amazing. 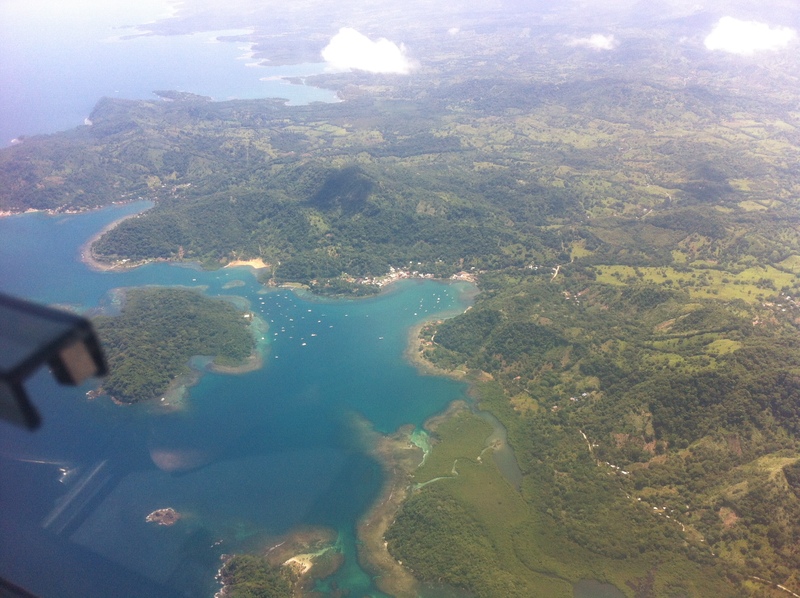 Landing on Isla Contadora (MPRA), out of the plane and straight into Gerald’s garden restaurant. 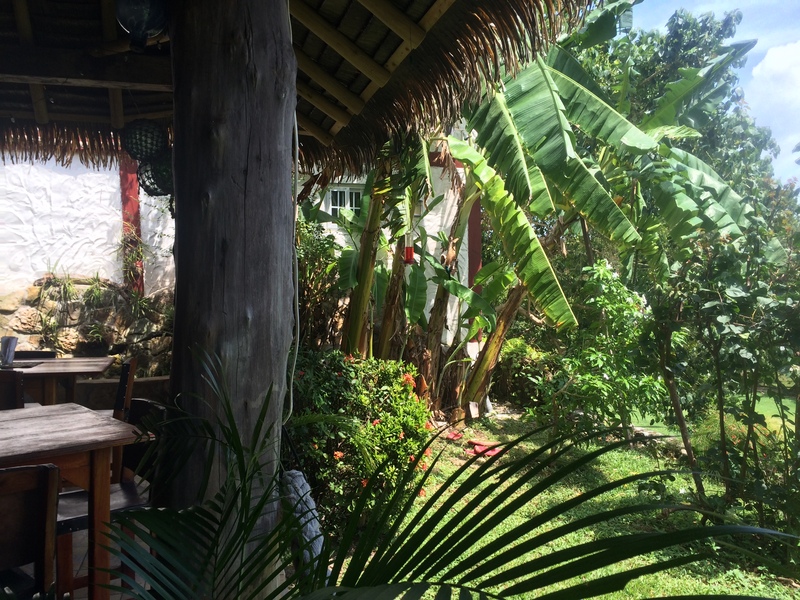 Watching hummingbirds, enjoying super-fresh seafood, talking with our hosts. What a peaceful and relaxing atmosphere. Now it’s high tide and the beach is only 200 meters aways. White sand, turquoise clear water to the ground. Turn on your back, close your eyes and drift for an hour. Getting ready for the last leg. Another 50 nautical miles westward to Chame, our homebase. At 4,500 ft towards the sinking sun. A lonesome container ship is on its way to the canal, and already descending we take another picture of Punta Chame. 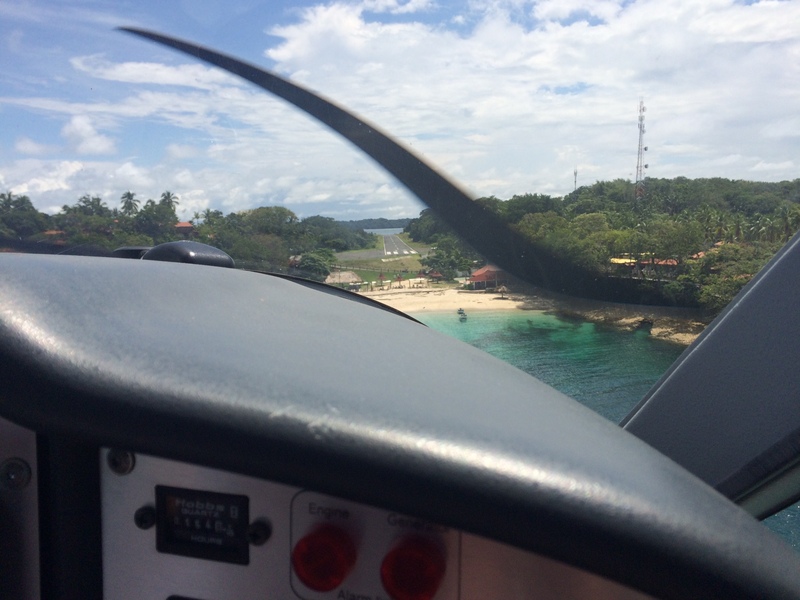 Departed 10:40 from Chame, arrived 12:50 at Isla Contadora. Up again at 15:55 and arrival in Chame at 16:40 local time. 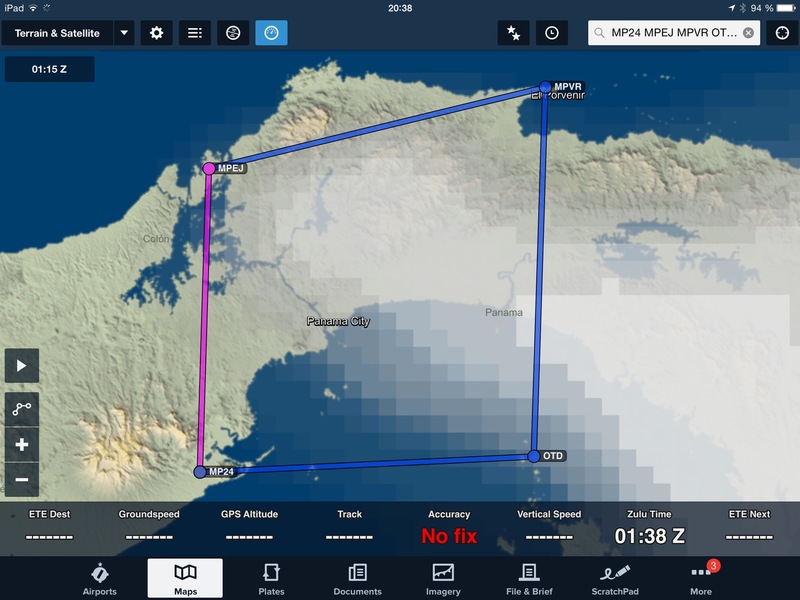 Per Foreflight planning it was 204 nautical miles but we took several detours because of clouds or to slowly descend into Las Perlas. Closer to 450 km probably, burning 13.5 galons of 95 autogas. Gas for US$50, food for US$35 … total of $85 for visiting 2 oceans. Not bad, right? Most of the journey we have been on the radio with and on the screen of Panama Advisory, coordinating our flight with some other traffic this morning. They were, as always, doing a great job, taking care in a friendly and professional way.